For the past five months Educa has been offering early childhood educators from New Zealand, Australia and North America the chance to win a place on a New Zealand Study Tour, hosted by Kelly Goodsir. 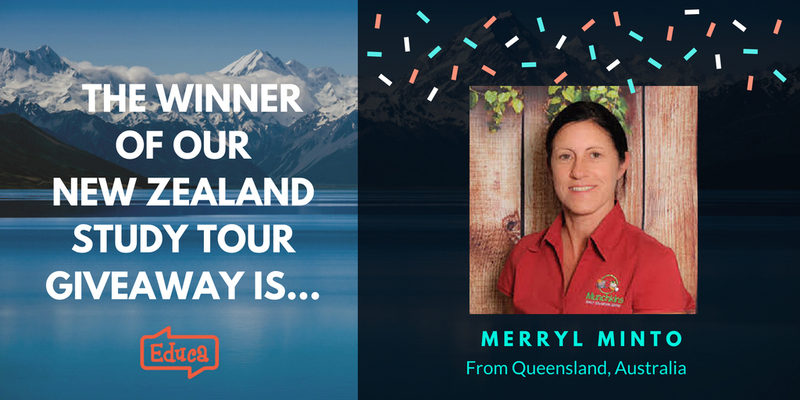 We are thrilled to announce that Merryl Minto from Queensland, Australia is the lucky winner and will be heading over to New Zealand in October 2018! 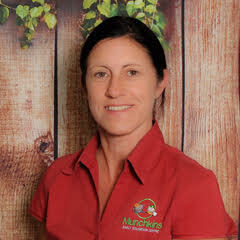 Having worked in ECE for the past 27 years, Merryl has had experience as a teacher, a director and opening new early childhood centres. Kelly Goodsir’s tour aims to highlight the early childhood curriculum and teaching pedagogy within New Zealand, through a mixture of professional development sessions and centre visits. In the coming months, we look forward to sharing some highlights from Merryl’s study tour trip. From everyone here at Educa, thank you so much to all who entered! Be sure to follow Educa on Twitter and like our Facebook page to be the first to know about more exciting news and opportunities, just like this one. To learn more head to geteduca.com or kellygoodsir.com.au.